Even the smallest oil traces can impair water quality. The FP 360 sc is specifically designed to detect traces of mineral oils in water while providing the necessary value and benefits for a positive return on investment. Monitors surface water, process water and industrial water continuously. It has a submersible probe design, and comes with the optional cleaning unit. Calibrate once every two years. Available in stainless steel or titanium. 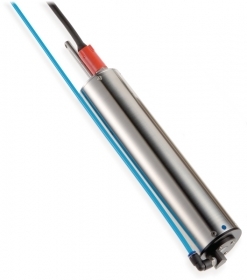 The FP 360 sc digital UV fluorescence probe is designed for the reagent-free determination of mineral oil impurities directly in the medium or in the bypass. The FP 360 sc is specifically designed to detect traces of mineral oils in water while providing the necessary value and benefits for a positive return on investment. 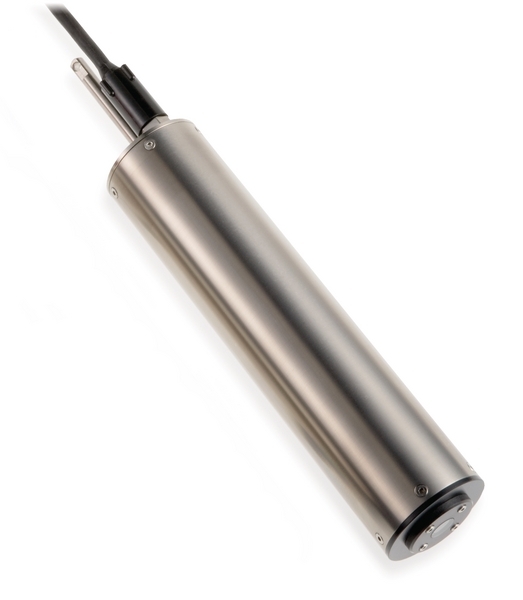 Due to its unique combination of submersible probe design and UV fluorescence sensing technology, the FP 360 sc delivers the best technology to detect oil in water and is priced below competitive UV fluorescent instruments. The FP 360 sc has no tubes, pumps, or valves that can foul or require constant maintenance interventions. Maintenance is limited to occasional wiping of the sensor's measurement window, calibration once every two years, and Xenon lamp replacement every four years. While laboratory testing is the ultimate method of measuring oil in water, it is a long and complex process that requires special equipment and trained lab personnel. The FP 360 sc provides a cost-effective, continuous online monitoring solution to maintain process control and avoid oil contamination with minimal laboratory testing. The FP 360 sc can detect and measure polycyclic aromatic hydrocarbons (PAHs) from 1.2 ppb to up to 5000 ppb (µg/L). This is approximately equivalent to a concentration of mineral oil between 0.1 to 150 ppm (mg/L). Furthermore, the FP 360 sc method of detection makes it impervious to interferences by turbid water or natural organic and biological matter that impact online light scattering, UV absorbance, and VIS fluorescence instruments. The FP 360 sc can be connected to all SC controllers thus providing versatile output options including 4-20 mA Output, Modbus RS485, Profibus, or HART.